Pope Francis gave himself a «birthday gift». On December 17 the Pope received Cardinal Amato, the Prefect of the Congregation for the Causes of Saints. The Pope listened to the report that he asked Amato to write about Peter Faber, the first companion of St. Ignatius and “a model of virtue,” according to Pope Francis. The Pope later decreed that veneration for the Blessed Peter Faber should extend to the universal Church. In practice, the Pope canonized Peter Faber without any known miracles attributed to Faber’s intercession. For Faber, Pope Francis decided independently, without any group deliberations. He wanted Peter Faber, who put forth the notion of spiritual reform, to be a model for the whole universal Church. And this is why Francis took this decision to decree an equipollent canonization. This is just but one of the instances showing that Pope Francis’ way of governing can be everything but collegial. At the moment, the Roman Curia seems to be completely deprived of authority. The Council of Eight Cardinals named by Francis to look at a possible general revision of the Pastor Bonus constitution (which regulates the functions of the dicasteries of the Curia) has not reached out to the Vatican dicasteries’ to seek their views. Instead, Council members reached out individually to people they trusted within the dicasteries, and asked them for an opinion. Then, Cardinal Giuseppe Bertello, President of the Vatican City State Governorate, was tasked with collecting the different opinions. In fact, there has not been an ordered procedure yet to evaluate how to carry the reform forward. It is only known that this will be a “profound” reform. There had been several comprehensive reforms in the past few years. The most important, and clearly the most discussed, was the reform of the Holy See’s financial system. In just a couple of years, the Holy See adopted a specific financial system that has been internationally accepted as valid. This system, as could be expected, can still be improved (as is true for the systems of other states), but it has nevertheless received the Council of Europe’s unanimous praise. This was an achievement that, after the first visit of the Council of Europe MONEYVAL evaluators in November of 2011, seemed reachable only in the long term. Following the visit, the MONEYVAL evaluators had asked for substantial changes to the then Vatican anti-money laundering law. The law to be modified had been drafted by external consultants. Subsequently, Vatican officials worked to improve the draft, rewriting and aligning the law with international standards. Further adjustments followed, after an overall positive MONEYVAL report issued in July of 2012. These Vatican officials were in a position to understand the legal peculiarities of the Holy See, and thus were able to explain these peculiarities in international forums. The whole world of the Vatican has changed as a result of work carried out by its in-house professionals. The Vatican penal code reform, the reform of the Prefecture for Economic Affairs enacted in March 2012 (as a result of which, the Prefecture can now be considered a modern ministry of finance), and the reform of Caritas Internationalis statutes and that of the jurisdiction of Catholic charitable associations, have all been carried out by Vatican officials themselves, without an extensive need for external consultants. However, the use of external consultants and commissions has increased significantly under Pope Francis. Just in the last thirty days, the Vatican has hired the international consultants Ernst & Young, KPMG and McKinsey to render advice on communication, rationalization of expenses, and auditing. Every time the Vatican announced the hiring of an external company, the release specified that “the hiring came after a procedure of selection.” None of these procedures have been made public, nor is it known how much the external consultants will cost. It is rumored that the Vatican is spending millions of euros in consultants, just for having them look at the Holy See as if it were merely a company on which to apply some general international rules for communication, auditing and so on. This Christmas season, in the Vatican corridors, officials can sense a strong current towards special commissions. Only those that go with the current get any media attention, riding on the waves of fresh air brought about by Pope Francis. For example, much has been written about the commitment to transparency of the Institute for Religious Works (IOR). The Institute, headed by Ernst von Freyberg and often referred to (misleadingly) as “the Vatican bank”, is now hosting the men of the Promontory Financial Group. The Promontory has been criticized in the United State for being a sort of shadow regulator of the market. The Promontory’s men have seized top positions at the Vatican financial institution (Rolando Marranci, the new IOR general director, spent his earlier career with the group) and are screening its accounts. Just a few remember that, in fact, a first screening of the IOR accounts had already been made, as documented in the July 2012 MONEYVAL report and the December 2013 MONEYVAL progress report on the Holy See/Vatican City State. In the meantime, Promontory was charged with looking into “customer due diligence” at the Administration of the Patrimony of the Apostolic See (APSA), thus creating somewhat of a precedent in the reformed APSA because it treats it as a private company. “Due diligence” is the evaluation of risks in investments and loans with regards, in particular, to the clients of a bank. However, APSA is not a bank. The Holy See explained this clearly to the MONEYVAL evaluators, noting that while APSA holds some accounts, such banking-type activity is minimal and will be phased out. There are several internal short-circuits that can occur as a result of the extensive use of external consultants. Pope Francis seems to be managing everything in a very personalistic manner. Rather than entrusting a “proven” structure like the Roman Curia, possibly inserting in its ranks people he trusts, Pope Francis prefers to confirm in their positions the heads of the Vatican dicasteries and at the same time change its members (as it happened with the Congregation for Catholic Education and the Congregation for Bishops) and make decisions on the basis of his personal knowledge. Not by accident, his second secretary, Monsignor Fabian Pedacchio Leaniz, has not been inserted in the ranks of the Secretariat of State, as is customary, and keeps going to work every morning at the Congregation for Bishops, where Cardinal Jorge Mario Bergoglio sent him in 2007 with the task – according to the Spanish web portal Intereconomía – of letting him know anything going there. 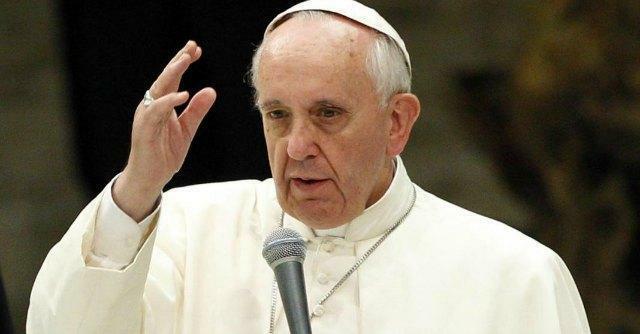 There is always the impression that the Pope is acting as if he were still under the dictatorship in Argentina, thinking that the Curia – with its workings and machinations – must be bypassed, even at the risk of taking on board the advice of friends of his who are leading him to treat the Church as a company or a non-governmental organization. Yet, this is precisely what Pope Francis has always maintained should not happen: «We are not a charity NGO,» Pope Francis has often stated. Comparing the Church to a private company is something that Francesca Immacolata Chaouqui has done several times (even if later saying she was not doing so). Chaouqui is a member of the Pontifical Commission for Reference established by Pope Francis to oversee the simplification and rationalization of the institutions of the Holy See and to monitor Curia-related expenses. The external advisors had all been hired by recommendation of this commission, and the fact that a “procedure of selection” had taken place does not dispel the notion of a conflict of interests, since Francesca Immacolata Chaouqui is also employed by Ernst & Young. Chaouqui is believed to have the Pope’s ear, and might have spoken with him at the Domus Sanctae Marthae some Sundays. What will be the impact of the external consultants over the Vatican? To what extent will they be faithful to the Holy See? How much will their work be just marketing and not mission? These are all open questions, together with those regarding the costs of hiring them. In the Church “poor (and) for the poor”, taking away responsibilities from the Curia is costing an unknown amount of money. It is rumored that this money will be recovered by marketing the Pope’s image, with the Vatican Television no longer making available its image feed for a token fee to Catholic networks and instead selling it to the highest bidder. It is conceivable that Pope Francis does not trust the men of the Curia. His is mostly a reform in attitudes, as he noted in the interview he granted to the Jesuit-run Italian magazine La Civiltà Cattolica. It is also true that many intelligent people who are part of the Holy See and love the Church are mortified by this behavior. Moreover, their talents are unused, even if they are readily available to work ad majorem Dei gloriam (for the greater glory of God). 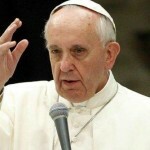 10 Responses to Has Pope Francis displaced with his own trusted men the Curia’s leaders? Catholics worship only God; not, as presented in the article, Peter Faber. Catholics venerate the saints, most particularly Mary the Mother of God. doesn’t sound like humility to me. Well, yes. Francis was elected with a strong curial reform mandate. Notwithstanding the many devoted sons of the Church who work there, the Curia is rightly subject to an arm’s length approach, pending much deep reform. The devoted sons of the Church who work there will be among the most grateful for the housecleaning. If the Pope doesn’t know what he is doing and the curia doesn’t understand it, no one else will, but God. After all, it is good to see the liberty and joy springing from it that a Pope enjoys and the world is noticing it: authority given by God and solemnly declared by Vatican I. But this responsibility belongs mainly to him and we do not pray for him or even try to rescue the interpretations of his actions with the sound Ignatian principle quoted in the catechism, we do not know yet how to give the law of God. No, this is known as an “equipollent canonization.” It has plenty of precedents, such as B XVI’s canonization of Hildegard von Bingen a couple of years ago. Your article is self-contradictory, as you note that the Prefect of the Cong. for Can. of Sts. presented the Pope with a report on Faber–that report constitutes the Congregation’s “procedure” for an equipollent canonization. Much comes to mind, but to cut it down to size…why would anyone think of another council when the last two have proved to be too problematic for the hierarchy or the faithful to digest. Ah, I remember… make a mess. The gentleman occupying the Chair of Peter is dealing with serious personal deficiencies that require professional intervention.